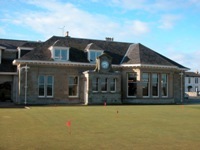 Prestwick Golf Club is simply an experience of a lifetime—there is no other way to describe it! 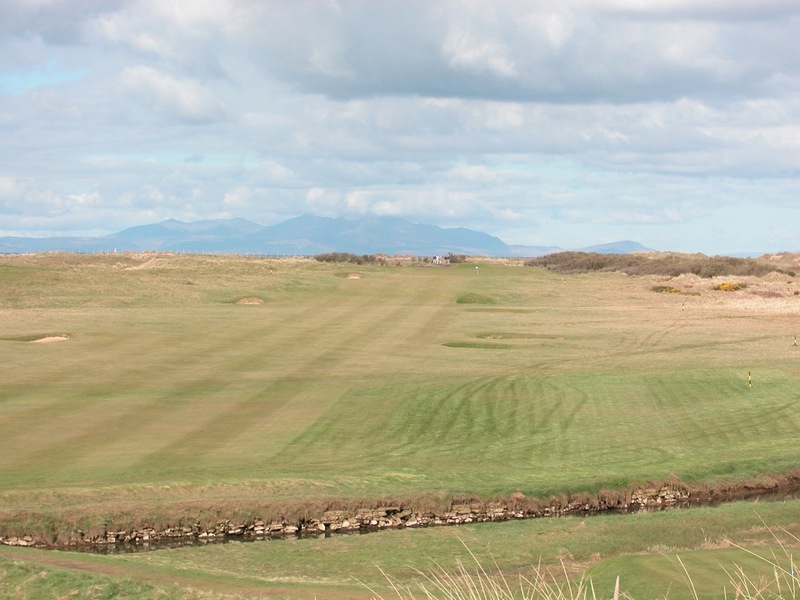 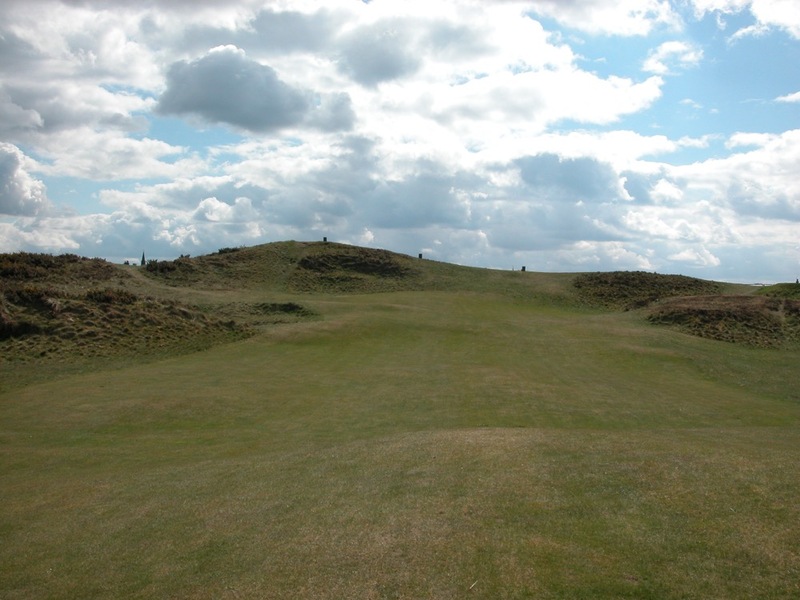 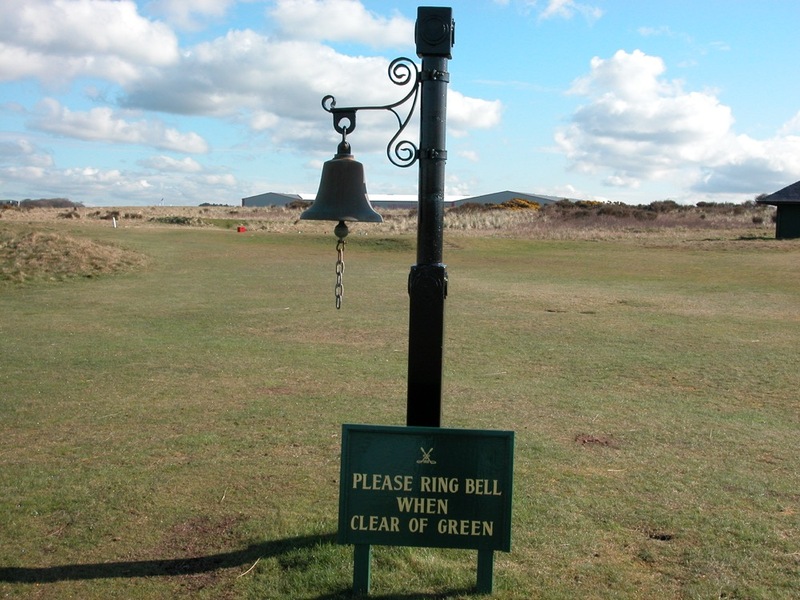 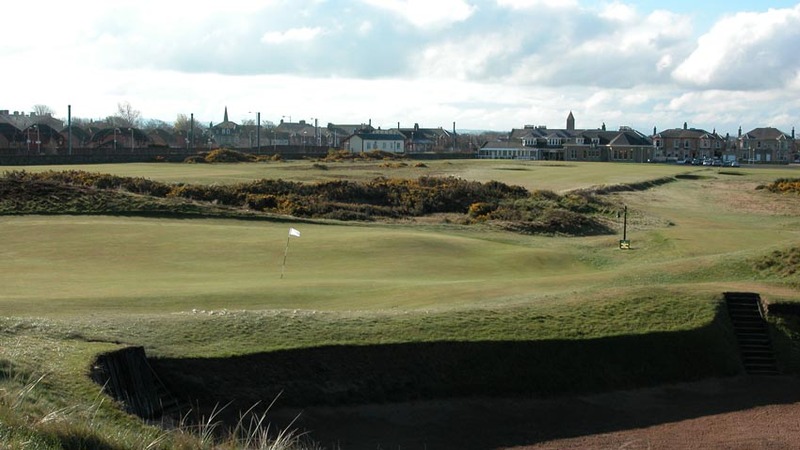 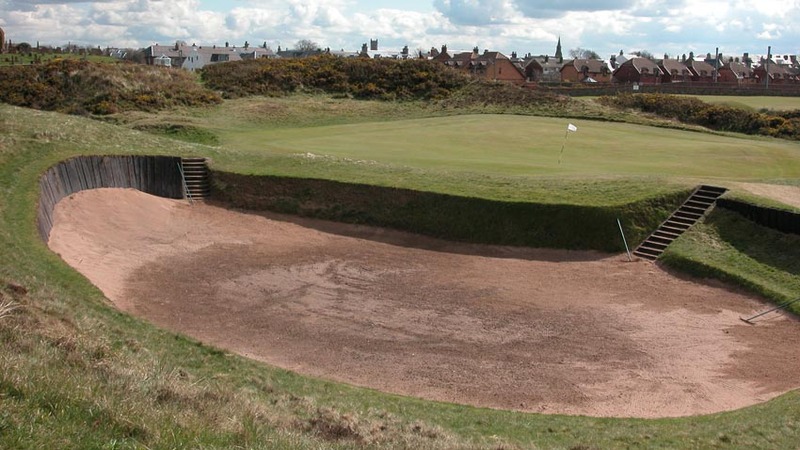 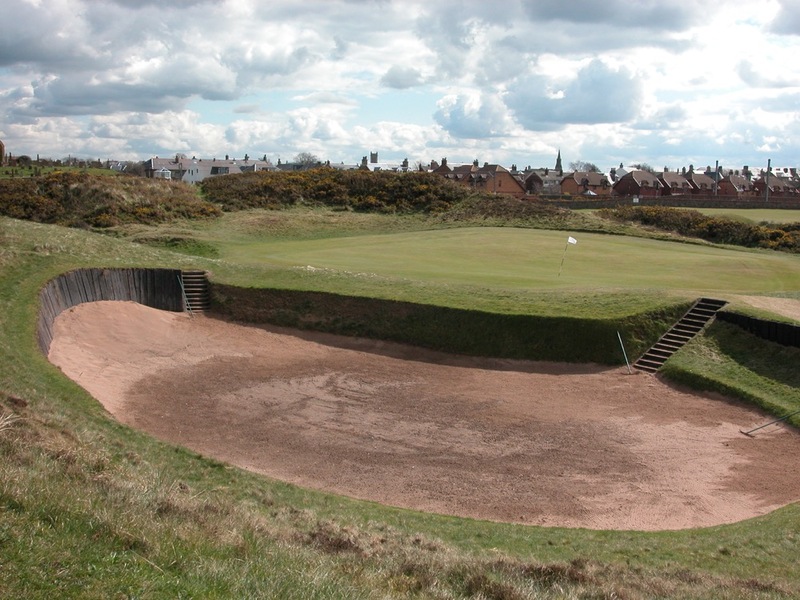 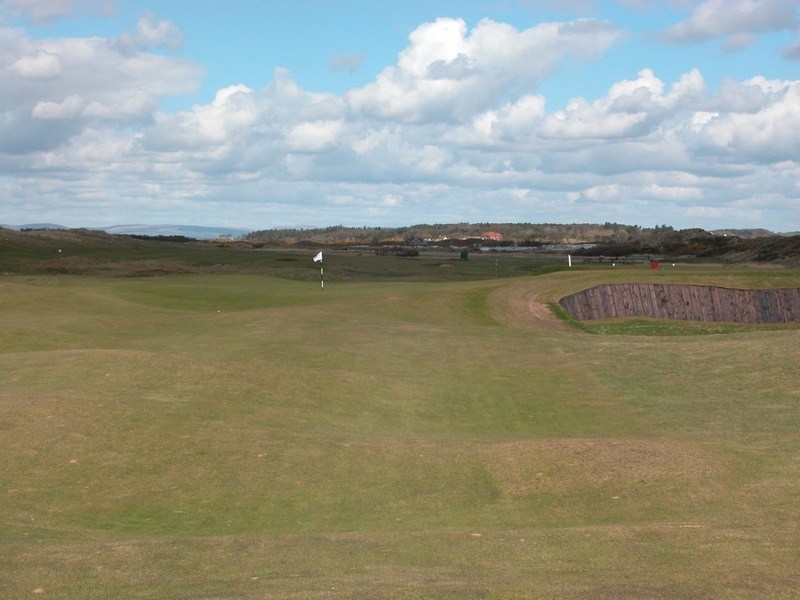 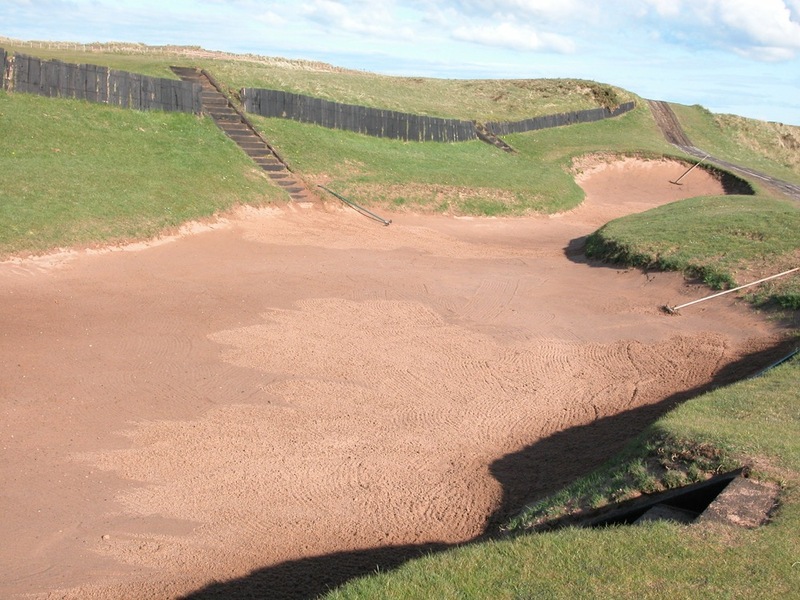 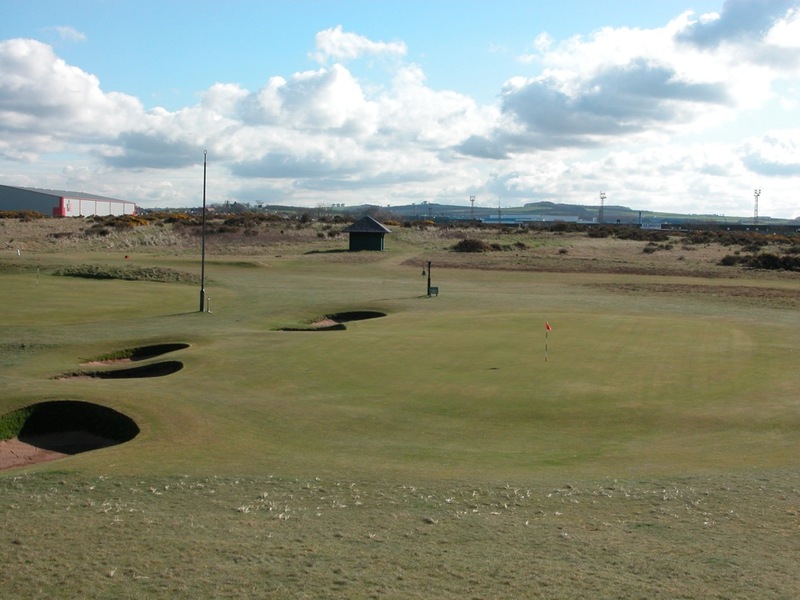 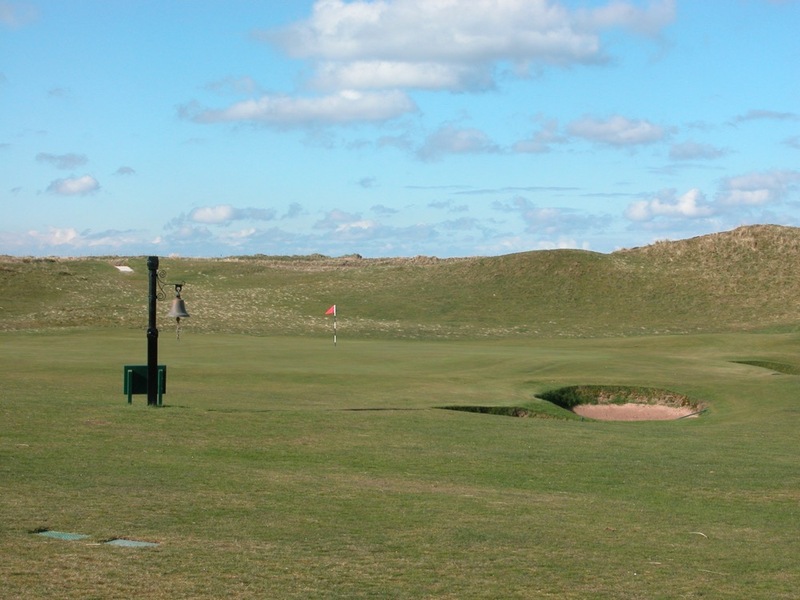 Because Prestwick Golf Club, somewhat hidden south of Royal Troon on the Ayrshire coast yet close enough where you can actually play from one course to another, is the Birthplace of the Open Championship. 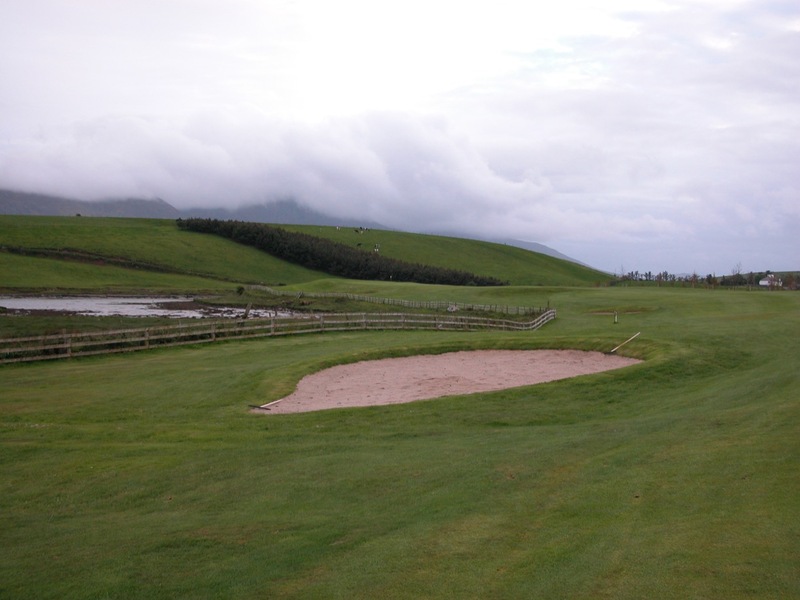 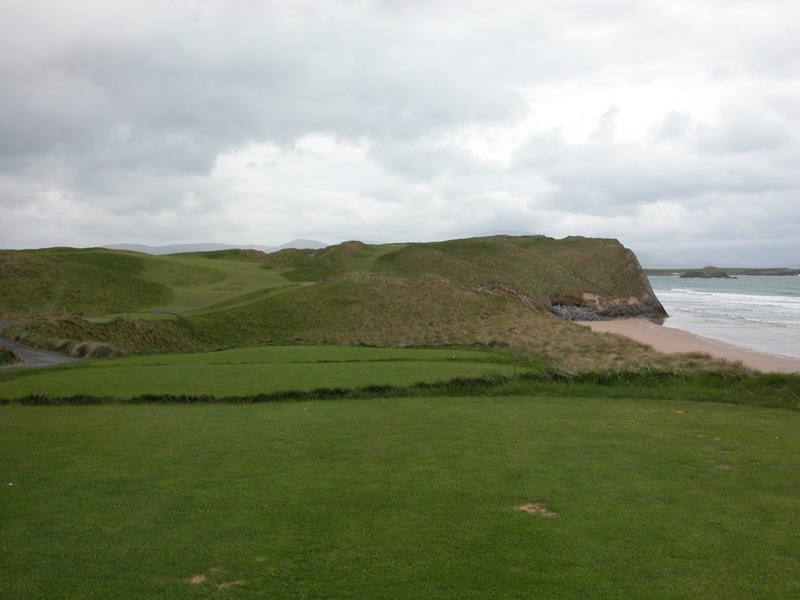 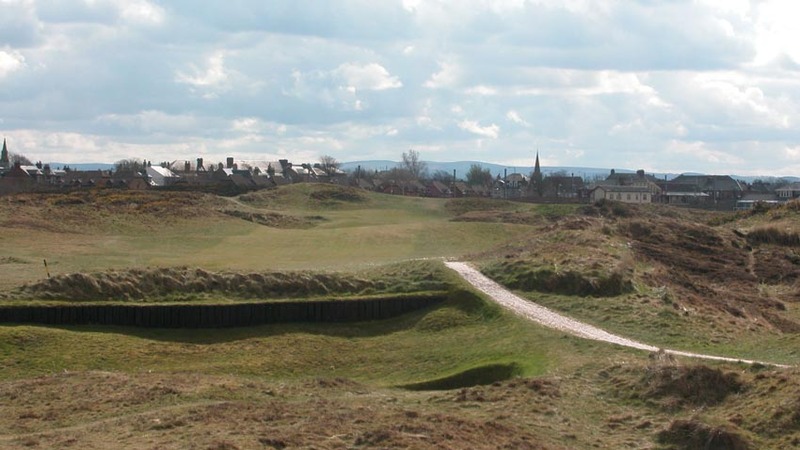 We simply could not fathom a trip to Scotland that doesn’t include Prestwick Golf Club, perhaps Scotland’s true “Old Course,” with holes that have survived intact since that first championship in 1860. 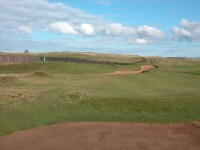 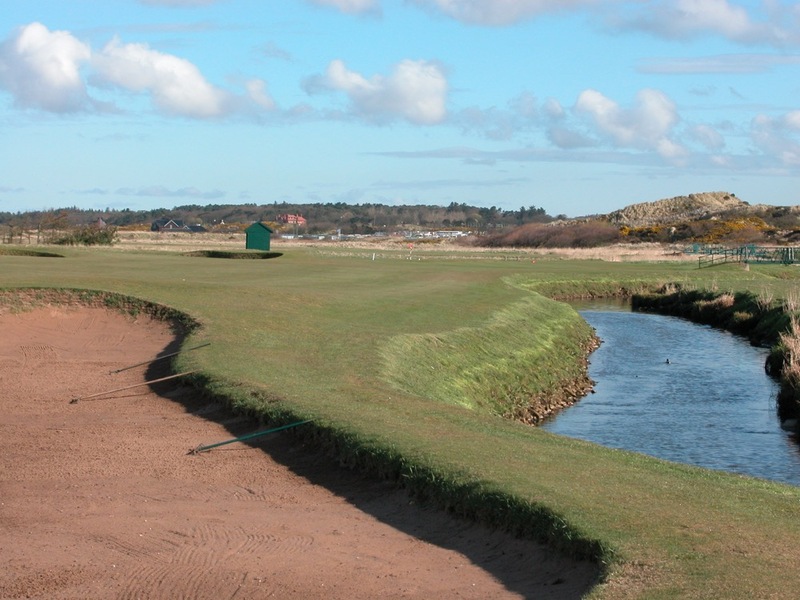 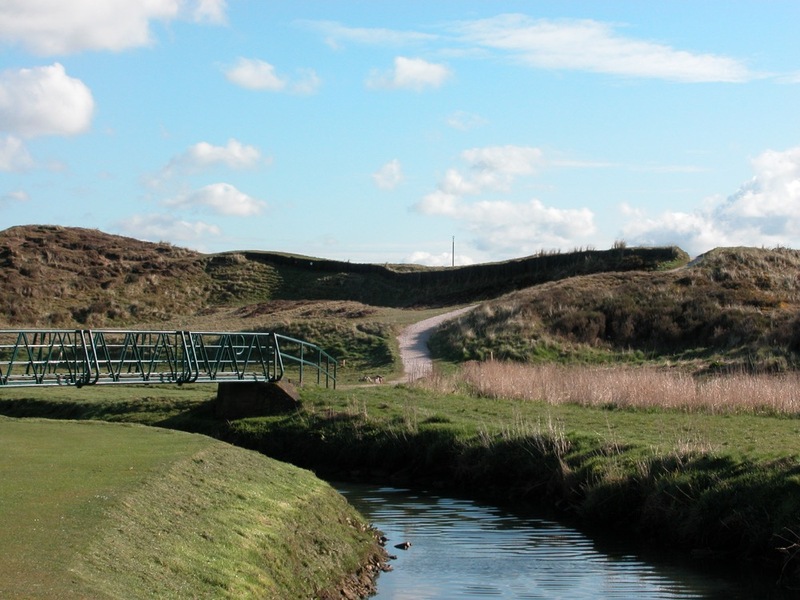 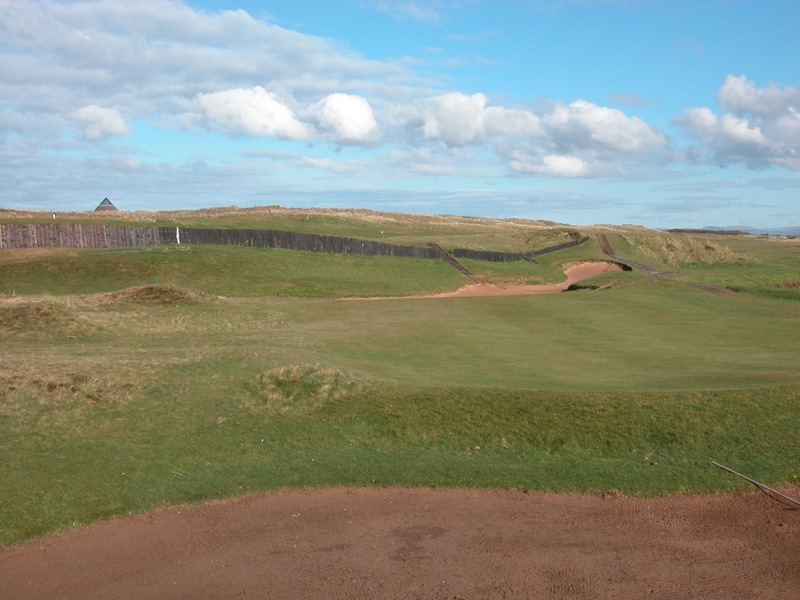 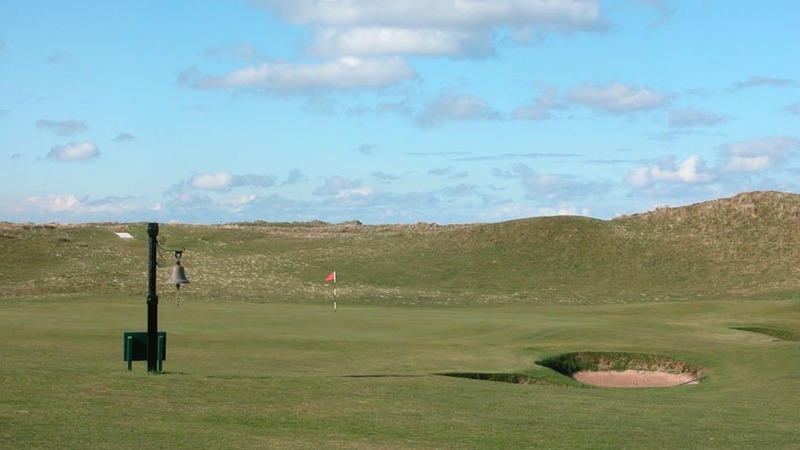 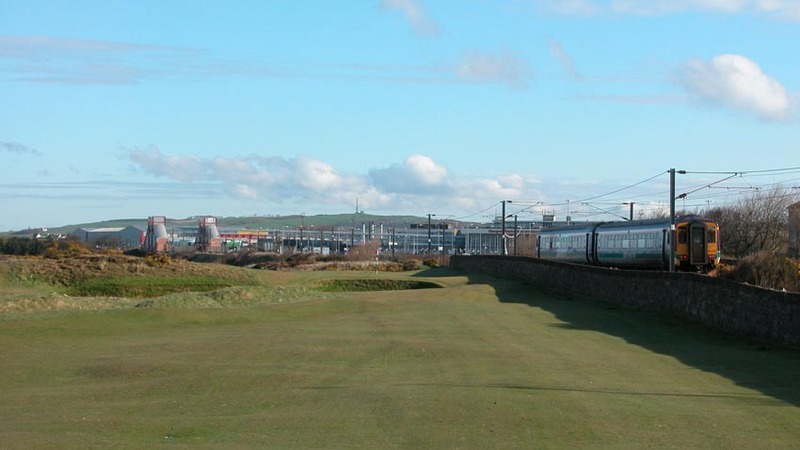 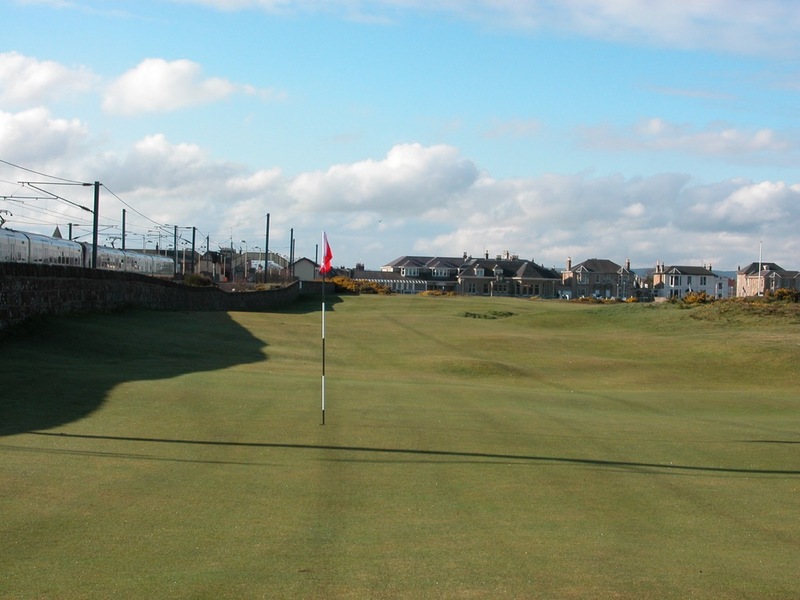 From the first tee at Prestwick Golf Club, when you stare out at the famous Railway Hole, the fairway hard against the stone boundary wall, you know you in for something special! 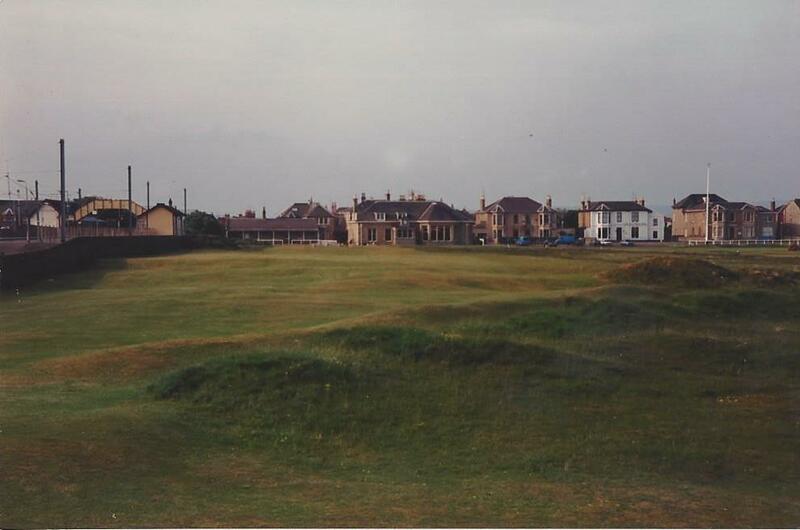 One can almost see Willie Park slashing his way to victory at Prestwick Golf Club in 1860, Young Tom Morris retiring the original Championship Belt after his third straight win at Prestwick in 1870, and Harry Vardon winning his record sixth title at Prestwick Golf Club in 1914. 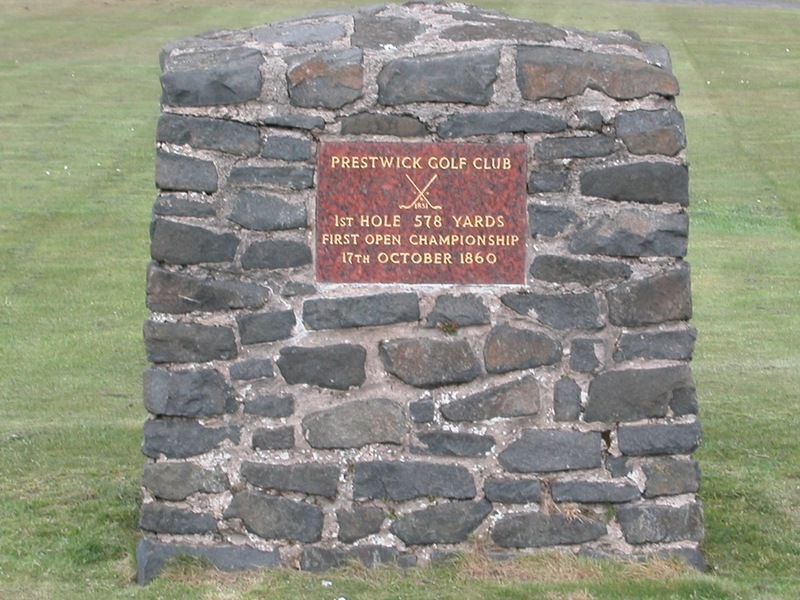 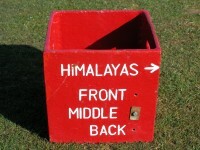 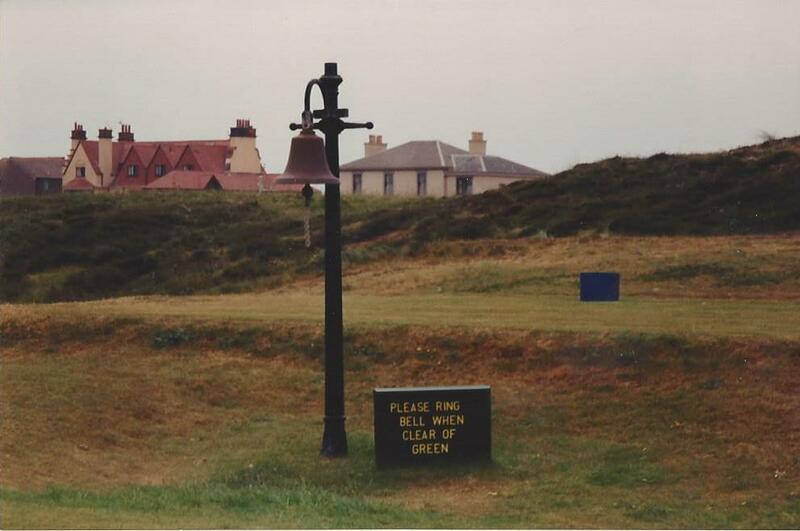 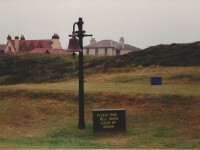 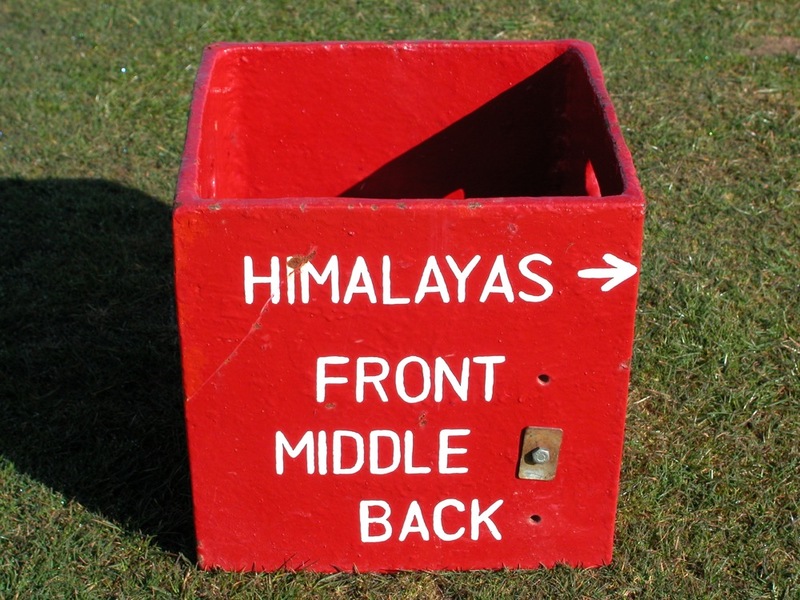 Famous Prestwick Golf Club holes such as The Cardinal, with the famous Cardinal Bunker, the blind Himalayas par-3 5th, and the famous 17th, “Alps,” remain from those great days. 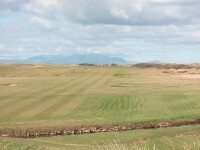 Prestwick Golf Club offers one unique and unforgettable hole after another, and the memorable finishing stretch from 15 to 18, occupying acreage barely large enough for one modern golf hole, yet alone four, is one of our favorites in all the world. 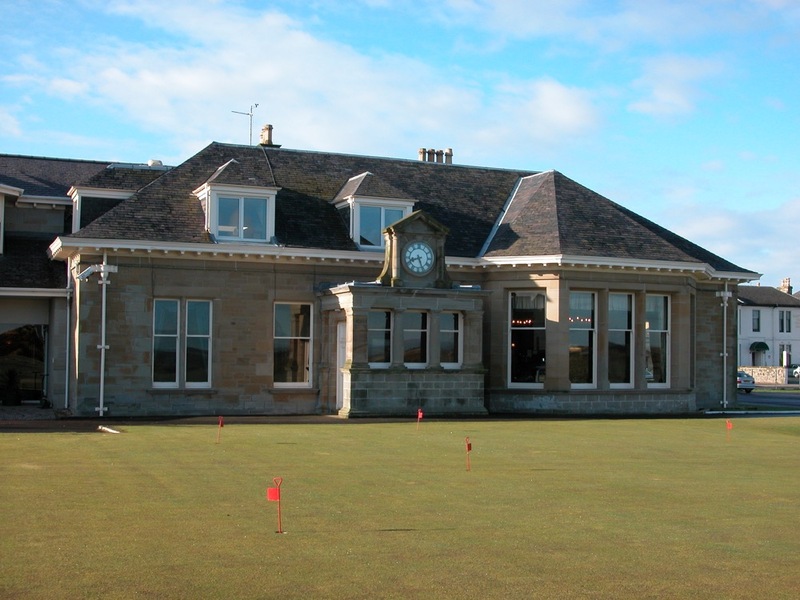 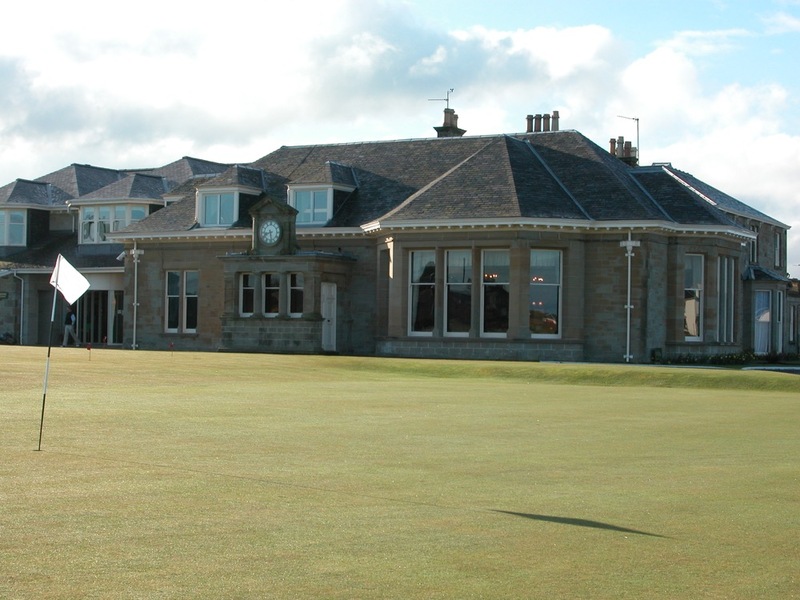 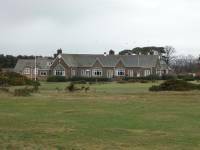 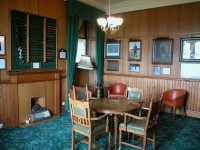 The ancient Prestwick Golf Club clubhouse stands intact from days gone by, recently updated yet maintaining its classic, special feel, and is a museum of golfing history. 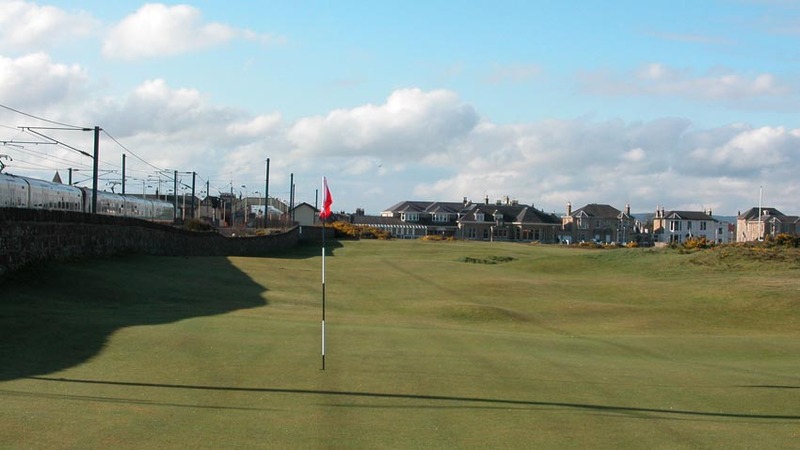 To do it right, you must book a day ticket at Prestwick Golf Club, as you will desperately want another crack at the course. 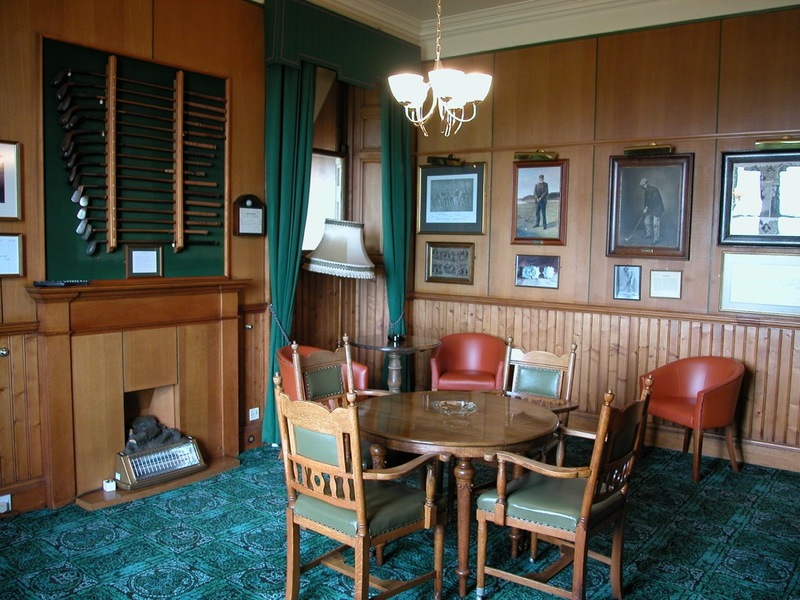 Bring your jacket and tie, as lunch in between rounds, in the members’ part of the clubhouse (where you will be welcomed), is an essential part of the day! 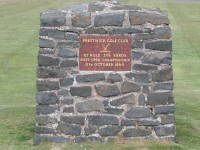 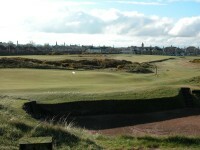 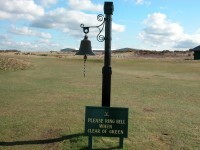 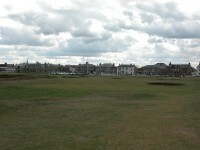 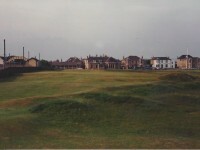 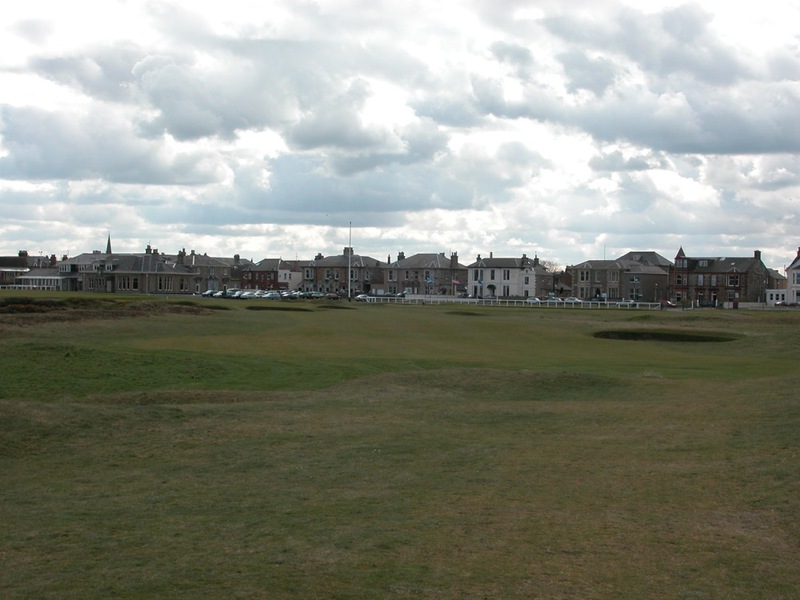 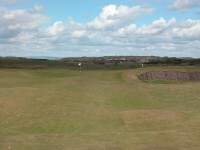 How can you plan a golf tour to Scotland without including Prestwick Golf Club, the Birthplace of the Open Championship? 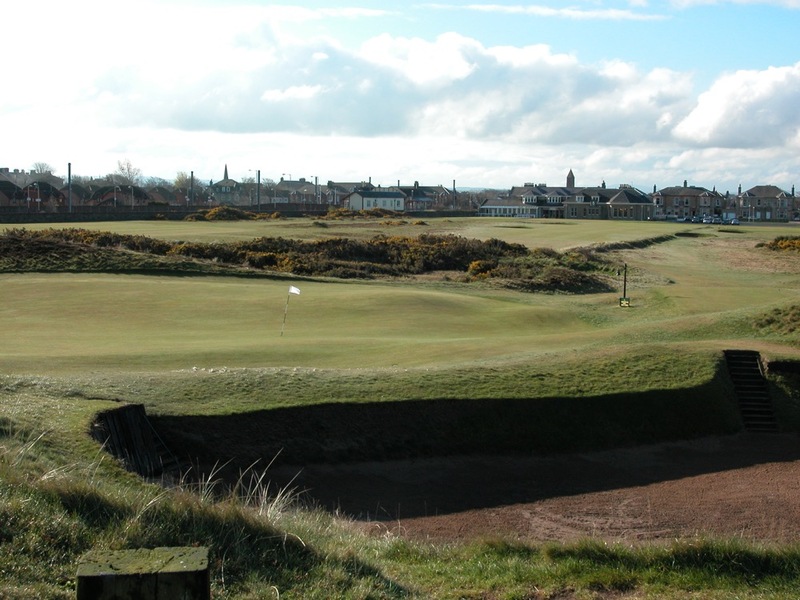 If you have yet to play Prestwick, that question is rhetorical.